When debugging website problems I often run tail on /var/log/apache2/error.log or on /var/log/apache2/access.log. Today I needed to monitor both at the same time. 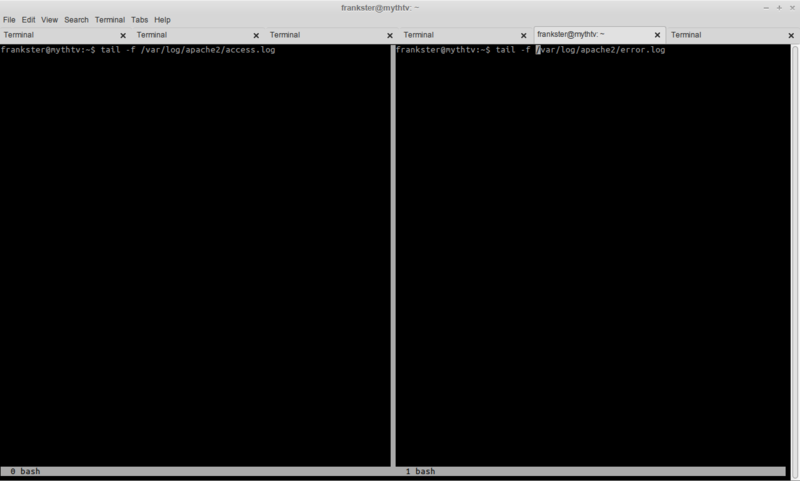 One solution is to open two terminal windows, however this uses up valuable entries in the alt-tab list. 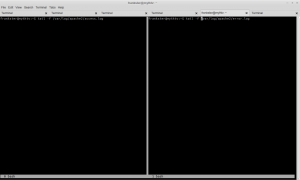 A better solution for this purpose was to create two windows with the screen utility.